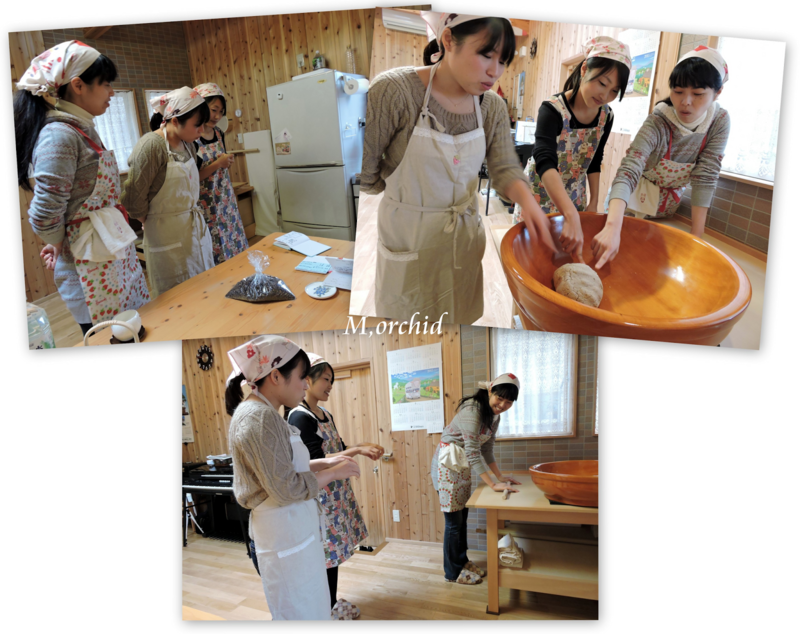 to try making soba (蕎麦打ち・ soba-uchi). 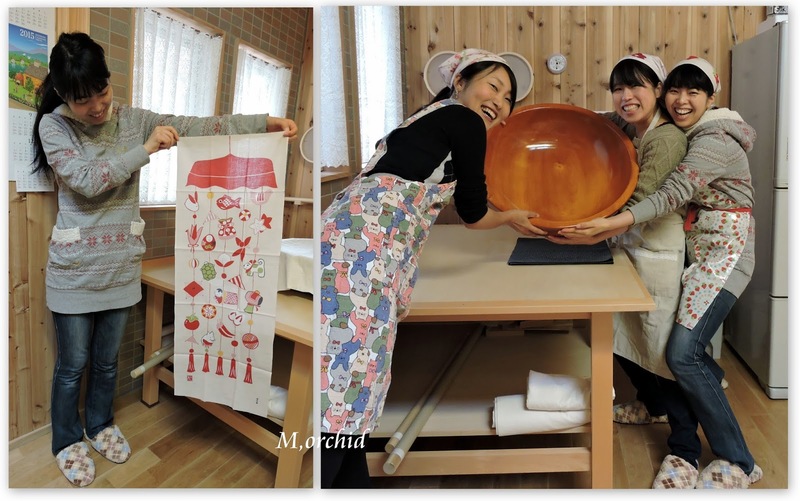 Three lovely ladies♪ The Japanese towel for her head had pretty Japanese design. And the wooden bowl from one tree trunk must have impressed them. How to use the rolling pin to widen the dough is the hardest part. And cutting the dough with a big knife. And we had soba lunch chatting together after they tried hard. They smiled when I joked them that my blog might make foreign friends think my husband's hobby may be a common one for Japanese.